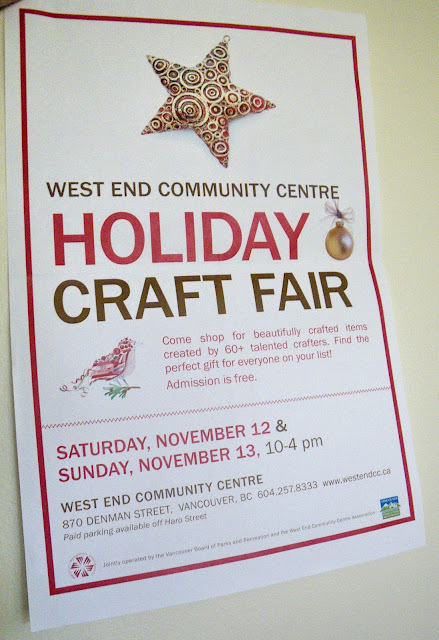 For all of Vancouverites' bonsai and miniature gardens lovers: West End Community Centre will organize the Holiday Craft Fair 2011 on Nov. 12th, 13th, 2011 at their location 870 Denman Street, Vancouver, BC, Canada. 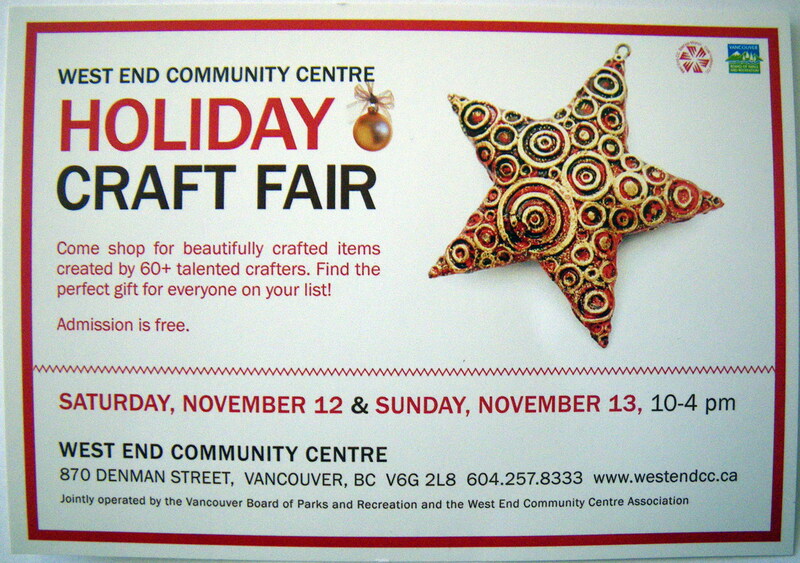 We will working hard putting together a table full of gorgeous bonsai, fairy gardens and " Edible, fragrant, very useful, showy, flowering, drought resistant, little care and very forgiving..." scented pelargoniums and few more green crafts to show and sell at this event. It is time to come to see, touch and smell by yourself our scented pelargoniums bonsai at the Table 25, in the Auditorium. The admission is free and we will be there in both days Nov. 12th and Nov. 13th from 10 a.m. till 4 p.m.
You'll find there a huge selection of booths: each overflowing with one of a kind goodies, fair specials crafted by 60+ talented local artisans and I’m sure you’ll choose the perfect and unique gift for your loved ones in 2011 Holiday Season.